As Pres. Obama declared earlier this week, individuals who’ve completed prison sentences must have their right to vote restored. Millions across the states are currently being disenfranchised, despite having paid their societal debts, returned to greater society, and immersed themselves in their communities – by working and paying taxes. Restoring their right to vote – at the state and/or national level – brings us closer toward the ideal of a truly representative democracy. So too does a growing movement, by activists and individuals across the nation, to move away from special interests – that take government out of the hands of the people – and toward reforms and measures that will ensure government is of, for, and by the people. In this panel, we’ll explore how to get there. Allegra Chapman is Common Cause’s Director of Voting and Elections. She leads national and state efforts to reduce barriers to voting and ensure that elections are run efficiently and fairly throughout the country. Nicole Austin-Hillery is the first Director and Counsel of The Brennan Center’s Washington, DC office. She oversees D.C. office operations, serves as the chief advocate for the Brennan Center on a host of justice and democracy issues and coordinates work with other civil rights, social justice and democracy organizations in D.C. She is also the organization’s chief liaison to Congress and the Administration. Her portfolio includes racial and criminal justice advocacy and reform, voting rights and felon enfranchisement. She has written opinion pieces and served as a contributing writer for several advocacy publications. She has also submitted testimony for Congressional hearings and has served as a speaker on a host of public interest advocacy issues. Previously, Ms. Austin-Hillery practiced as a civil rights litigator and formerly served as the George N. Lindsay Civil Rights Fellow at the Lawyers’ Committee for Civil Rights Under Law. 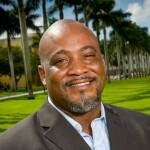 Desmond Meade is a formerly homeless man whom through hard work and community service has become the current State Director for Faith in Florida Live Free Campaign, President of the Florida Rights Restoration Coalition (FRRC), Chair of the Florida Coalition on Black Civic Participation’s Black Men’s Roundtable, and a recent law school graduate. As State Director of the Live Free Campaign, Desmond is currently engaged in addressing gun violence, mass incarceration, and felon disfranchisement. As President of the FRRC, Desmond is presently leading efforts to restore the civil rights of almost 2 million Floridians, and empower local communities to reshape state, and national policies by being civically engaged. Recognized as a “Foot Soldier” and “Game Changer,” Desmond has made numerous appearances on radio and television, and has testified before the United Nations, and Congressional members and staffers concerning disfranchisement. As one of the nation’s leading voting rights advocates Greg Moore has led successful efforts through grassroots organizing and voter mobilization at all government levels. 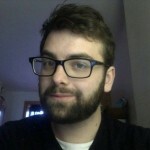 As the Senior Political Strategist for the Democracy Initiative Greg focuses on voting rights, building constituent convergence in money in politics while working with allied partners to reform Senate legislative rules. He also continues to direct of the NAACP National Voter Fund (C 4) advocacy and voter engagement programs. While serving as Deputy Director for the Democratic National Committee Moore was instrumental in developing the party’s voter registration and voter outreach programs. Further, he served as the Legislative Director and Chief of Staff for the Honorable John Conyers, Jr. (D), the ranking member of the U.S. House Judiciary Committee, (MI-14th) and Dean of the Congressional Black Caucus. Jamie Raskin, the Democratic candidate for the open Congressional seat in MD-8, is a three-term Maryland State Senator and the Senate Majority Whip who has delivered major legislative accomplishments during his time in Annapolis including marriage equality, re-enfranchising ex-felons, medical marijuana, the Farm-to-Schools program, imposition of ignition interlock devices on the cars of convicted drunk drivers, the Green Maryland Act, abolition of the death penalty, and the Second Chance Act. Raskin is a professor of constitutional law and legislative process at American University’s Washington College of Law who has taught for 25 years and founded the Marshall-Brennan Constitutional Literacy Project. He is deeply involved in promoting chess among children and has been active in Lumina Studio, which is one of the nation’s leading Shakespeare theaters for young people. He and his wife Sarah live in Takoma Park and have three children. Executive Director, the Bus Federation. An organizer, small business owner, three time college dropout, and serial social entrepreneur, Matt co-founded Forward Montana (a Bus affiliate), the Bus Federation, and Montana is for Badasses, an apparel company celebrating his home state. In his current role, he founded National Voter Registration Day and grown the Bus Federation into one of the premier youth civic engagement organizations in the country. He serves on the board of directors for Young Invincibles, a leading voice for the economic well-being of young adults, and on the advisory boards of Oregon Climate and Revolutions Per Minute. 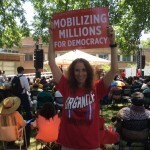 Tova Wang is Director of Democracy Programs for the Communications Workers of America and Senior Democracy Fellow at Demos. She has 20 years of experience working on improving democracy. Tova has focused on issues related to greater political inclusion in the United States, including major studies on increasing voter participation rates among low income people, communities of color, naturalized immigrants, women and Native Americans. Her critically acclaimed book, The Politics of Voter Suppression: Defending and Expanding Americans’ Right to Vote, was published in 2012 by Cornell University Press. She also consults international organizations on voting rights and election reform in countries around the world. Her commentary on voting and participation has appeared in numerous print media outlets, including the New York Times, the Washington Post, The Hill and Politico, and she has appeared on numerous national television and radio news shows.